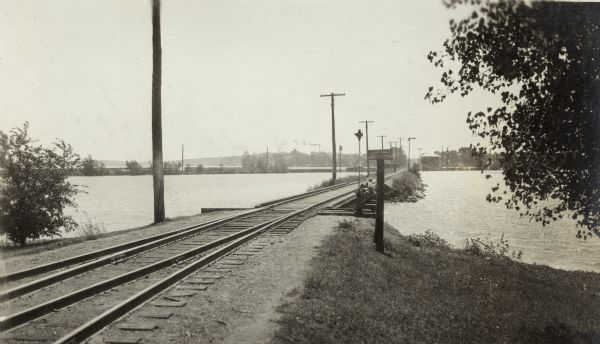 Looking southwest along the Chicago, Milwaukee & St. Paul Railroad causeway. Two boys fish from the bridge. The sign declares "Private Property. No Thoroughfare. Keep Off." The Chicago & North Western Railroad track is in the background.